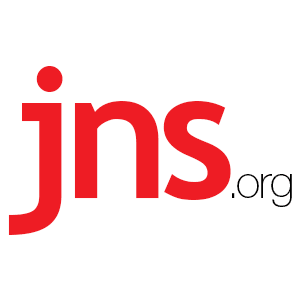 At Synagogue, Obama Defends 2016 Abstention on UN Measure Condemning Israeli 'Settlements' - Breaking Israel News | Latest News. Biblical Perspective. Former President Barack Obama this week defended his decision to allow a December 2016 United Nations Security Council resolution condemning Israeli settlements to pass in the waning days of his administration, blaming the “skyrocketing” pace of settlement construction. “The pace of settlement construction skyrocketed making it almost impossible to make any kind of Palestinian state,” Obama said during a talk at Temple Emanu-El in New York City on Wednesday, the Daily Mail reported. “Voting against the resolution would have damaged our credibility on affirming human rights only when it’s convenient not when it has to do with ourselves and our friends,” the former president said. At the time, the Obama administration refused to use U.S. veto power in the Security Council to block Resolution 2334, breaking with decades of American policy of defending Israel against one-sided U.N. measures targeting the Jewish state. Obama also downplayed America’s relatively strained relationship with Israel under his administration, arguing that his decisions on the Jewish stare were reflective of the strong bonds between the countries.“To be a true friend of Israel it is important to be honest about it, and the politics of this country sometimes do not allow for it,” Obama said. Obama pointed to the September 2016 signing of a historically large $38 billion U.S. military aid package to Israel as a sign that he is a staunch supporter of the country.